Some companies think in transactions. We think in relationships. A big digital experience for a small-town team. Improving processes, brand image, and the overall customer experience. 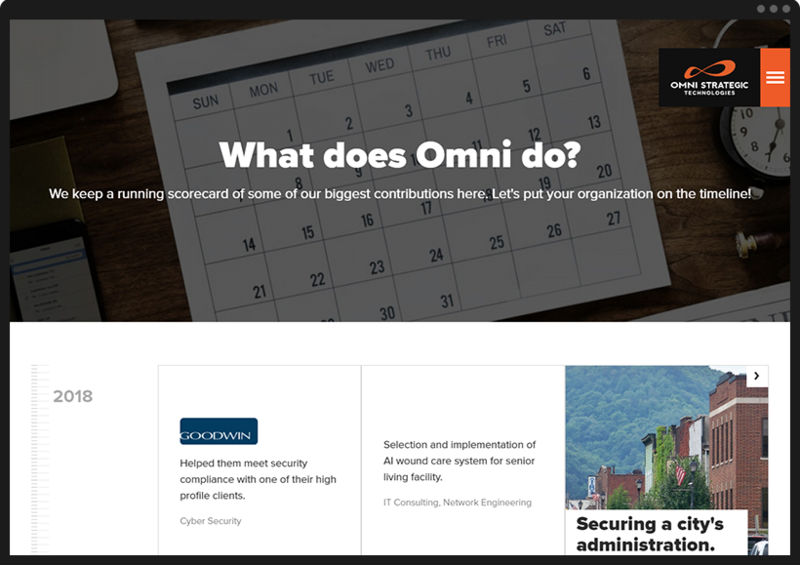 What better way to tell Omni's story than through the good work we do for others? We built a timeline that shows you exactly how we're growing with our clients.